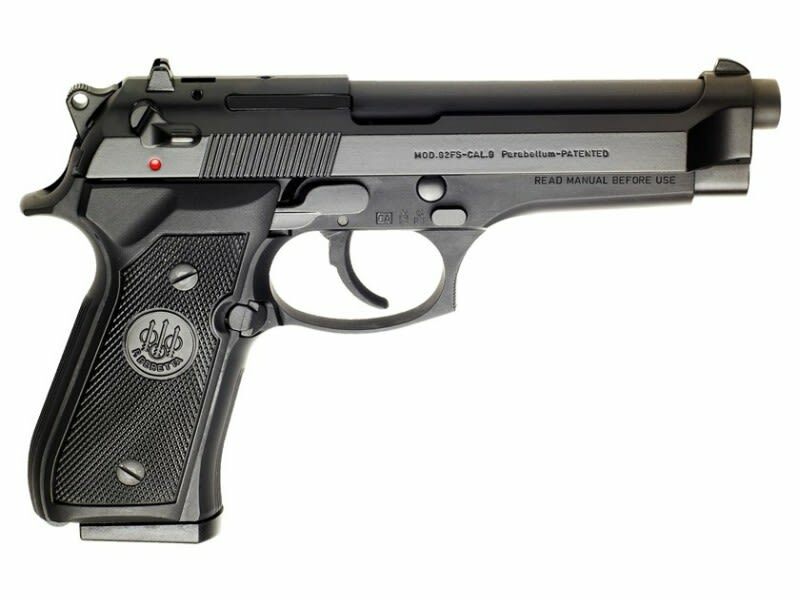 Beretta 92FS 9mm Semi-Auto Pistol Factory New ( Police Special ) model with 3 - 15 Round Mags - New * They call this the Police Special model simply because it ships from the factory with 3-15 round mags whereas traditional for commercial sales models only come with 2. We got a special deal on these at an industry trade show recently and we are passing the savings on to you. More about the Pstol. 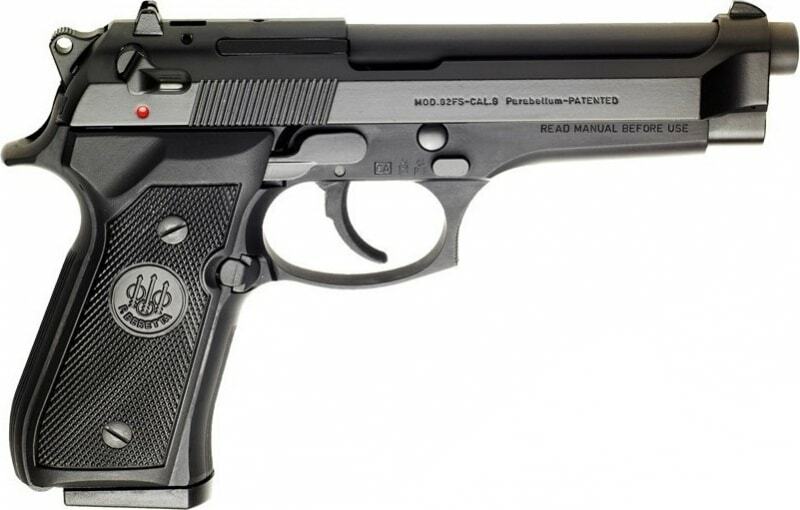 - The Beretta® 92FS is one of the most extensively tested and duty proven Semi-Auto Pistol designs in existence. 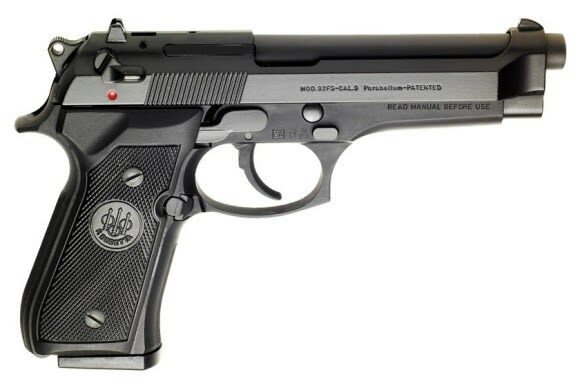 The 92FS, or M9, has been the official sidearm of the US Military since the 1980s. The 92FS semi-automatic pistol has a durable Bruniton™ non-reflective black finish that provides superior corrosion resistance. Checkered grip panels provide a positive hold in all environments. The Beretta 92FS utilizes a short recoil, delayed blowback system, and an open top slide that virtually eliminate jamming. Disassembly latch simplifies fieldstripping the 92FS into 4 main components for maintenance. Spring-loaded, ambidextrous safety lever doubles as a decocking lever, and a visible chamber loaded indicator can be felt by touch. A reversible magazine release accommodates right- and left-handed shooters. The Beretta 92FS Semi-Auto Pistol is a rugged and reliable sidearm that makes an ideal choice for home defense, field carry, and recreational shooting. This is the Police model which basically just means that it ships with not 2, but 3-15 round mags. New in box with full factory warranty.